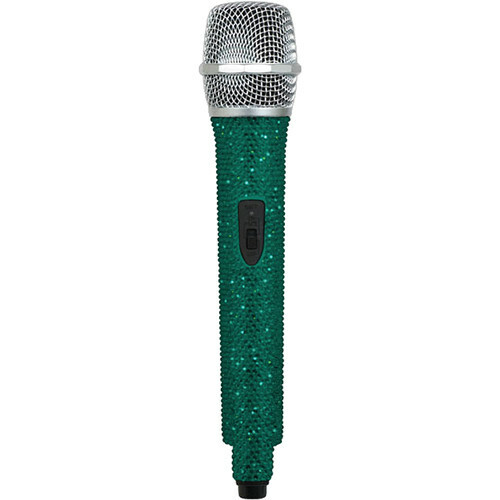 The U-DIAMOND Emerald-Studded UHF Wireless Microphone from VocoPro can add that extra bling to elevate your stage presence to a new level. This microphone is compatible with UHF-5800, UHF-8800, UHF-18, UHF-28, and UHF-3200 wireless systems (sold separately). Note: FCC license may be required. Not a stand-alone unit, must be used in combination with a compatible unit.